OTTAWA, CANADA (ANS – Nov. 12, 2018) — Asia Bibi may be granted asylum in Canada. Canada is in discussions with Pakistan about granting asylum to Asia Bibi, recently acquitted of blasphemy, according to Canadian Prime Minister Justin Trudeau, as reported by the BBC. Trudeau confirmed to the AFP news agency that his government was looking into bringing her to Canada. Pakistan has agreed to try to stop her leaving the country to help calm the unrest in the wake of the Supreme Court ruling that saw her released over “flimsy” evidence. Several countries are understood to have offered her asylum. 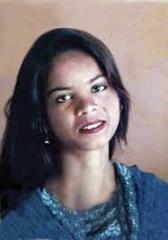 Asia Bibi, sometimes known as Asia Noreen, was convicted in 2010 of insulting the Prophet Muhammad during a row with neighbours the previous year. The mother-of-five was the first female non-Muslim charged under the country’s blasphemy laws. The laws carry a potential death sentence for anyone who insults Islam. The case has been a polarising one in the Muslim-majority country. In 2011, a Punjab Governor Salman Taseer assassinated in Islamabad, reportedly in part due to his defence of Asia Bibi. Not long after, Pakistan’s minister for minority affairs, Shahbaz Bhatti, was shot dead for making similar remarks.